MOSCOW, November 6 – RIA Novosti. 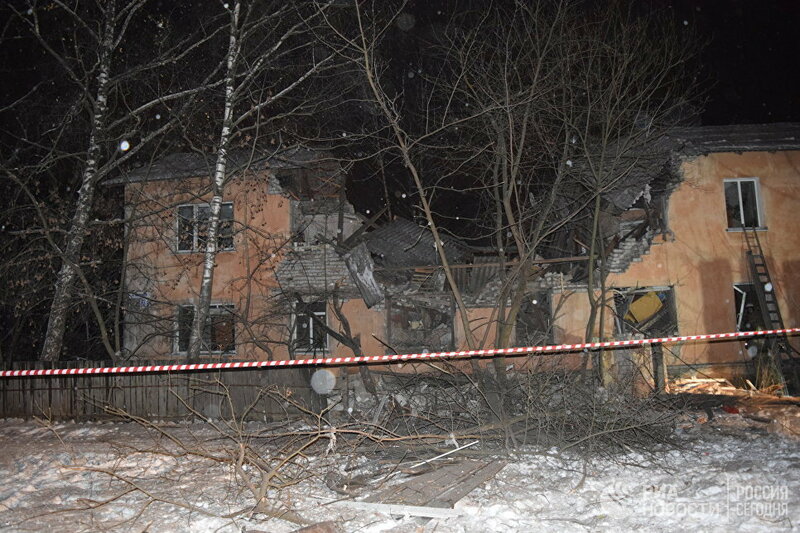 The authorities decided to demolish the two-story residential building in Ivanovo, where on Sunday in one of the apartments blew up the gas. Residents in the future will settle, and until the authorities are ready to provide them with apartments of maneuverable Fund or to pay the rent. 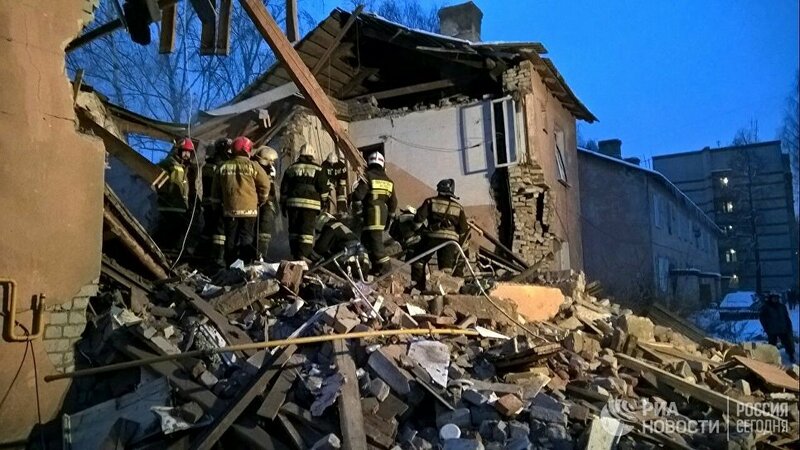 Part two-storeyed house collapsed after a gas explosion on Sunday morning in the city of Ivanovo. The area of destruction was up to 80 square meters, was evacuated 15 tenants. According to the latest data, six people were killed, including four children, eight people were injured, four of them hospitalized. 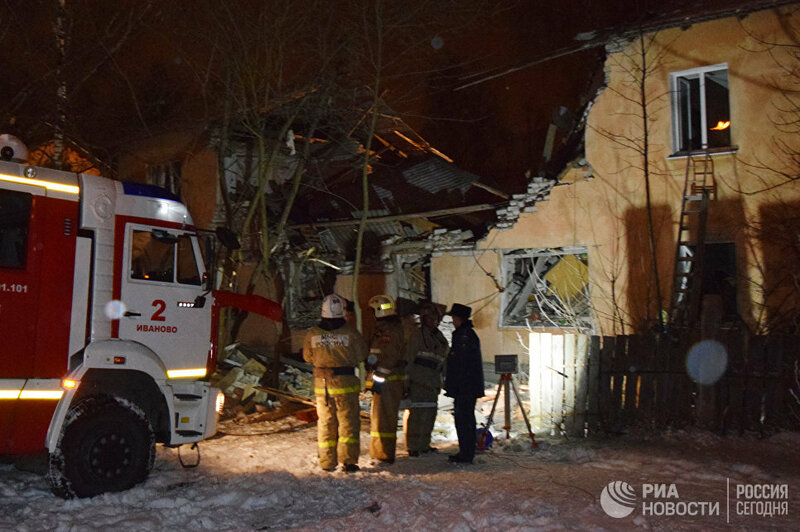 Russia’s investigative Committee is considering the leakage of household gas as the main version of the explosion. Government on results of session of the Commission on emergency situations has taken the decision to demolish the affected houses. 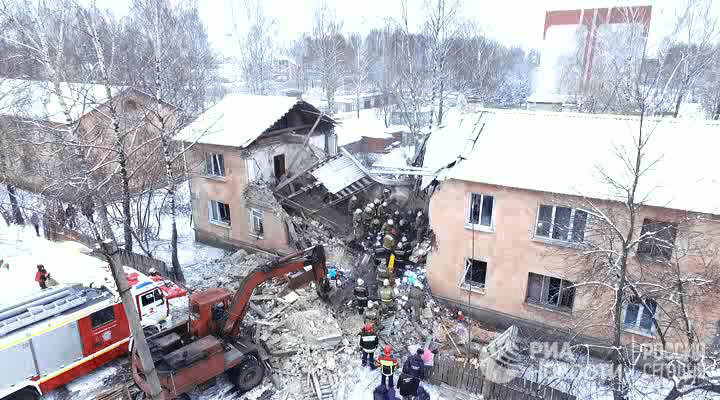 Sunday in Ivanovo after the gas explosion collapsed part of the 12-apartment building. Demolition area up to 80 square meters. Six people were killed: three women, two men and a girl four years. Eight people were injured, four of them are in hospital in serious condition. Just on the scene worked 356 people and 68 pieces of equipment. 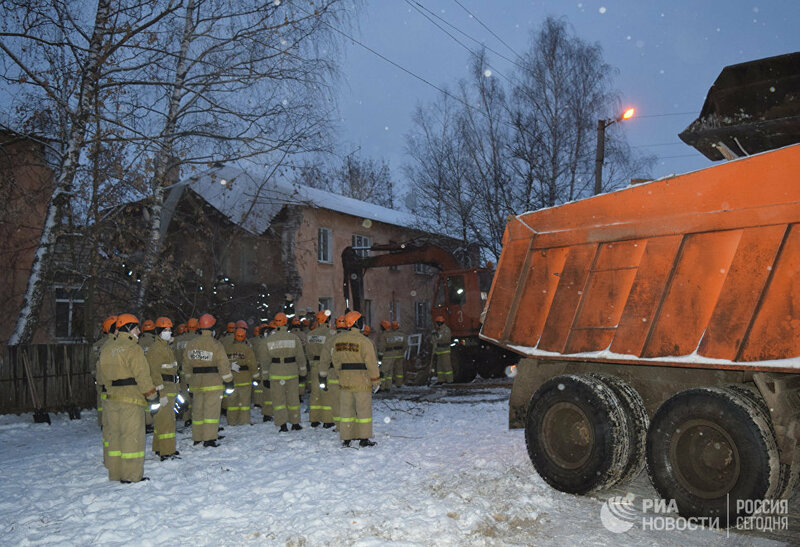 The Governor of the Ivanovo region Pavel Konkov said that all the inhabitants of the collapsed house will be accommodated in comfortable housing. Residents will also receive 30 thousand rubles compensation for loss of property. 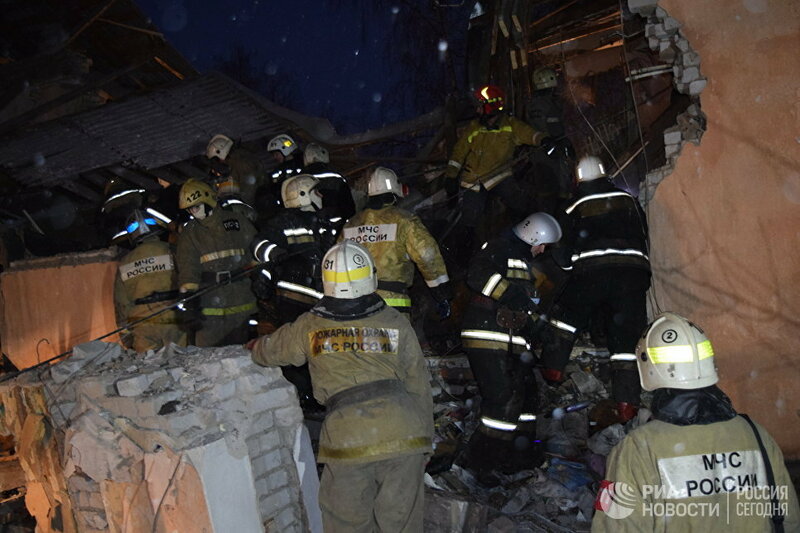 Emergency workers work at the site of a gas explosion in a residential building on Minskaya street in Ivanovo. The basic version of the investigation, the explosion occurred due to leakage of household gas. The Prosecutor’s office of Oktyabrsky district of the city, where was located the house, said that complaints about gas equipment from inhabitants didn’t arrive. The Governor of the Ivanovo region took under personal control check of all gas equipment in the region. 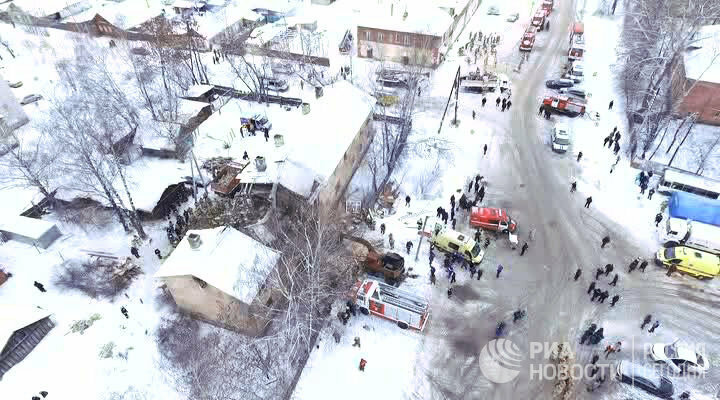 This is the third in the autumn the case of a gas explosion in a residential building in Russia. On the night of October 23 in Ryazan has occurred explosion of household gas on the upper floors of a ten homes, killed seven people, injured 16. The fifth of September in Stary Oskol the Belgorod region in the domestic gas explosion killed two people. / “The same amount will be paid from the regional budget. This was announced at the meeting in the administration of Ivanovo city”, — said later the city. The meeting also decided that the funeral expenses of the victims will be paid for by the governments of the region. The authorities are counting on aid from the residents of the city. Monday special account will be opened in the Ivanovo charity Fund “Hometown”, where you can transfer funds for the victims. In addition, in establishments of social service of the population will be organized the collection of necessities of things, including seasonal, household accessories. To assist the victims and urged the head of the Ivanovo Metropolia. “We must give victims the possible effective assistance. I bless all the churches and monasteries of Ivanovo-Voznesensk diocese to hold a fundraiser in their favor”, — reads the statement of Metropolitan Ivanovo-Voznesensk and Vichuga Joseph, which is available on the diocesan website. Four victims of the explosion of gas as of Sunday evening remains in the hospital, they are all alive. Doctors managed to stabilize the heaviest of them. “The man who was in critical condition, he had surgery about internal bleeding. The bleeding has stopped. Currently, the operation is finished, he is in ICU, condition stable, he’s awake,” — said the representative of the regional hospital, the TV channel “Russia 24”. According to him, the hospital also are two men and one woman, their condition is of moderate severity. Rescuers have finished work on the site of emergency. Now employees of the RCDS continue the examination, interview the occupants of the collapsed house, and seized documents. “The management company “Garant-Service” and serving the common property of the house organizations, gas distribution organizations, the city administration of Ivanovo seized documentation relating to the commissioning and servicing of gas equipment, as well as reporting on the preparation of the house for the heating season”, — told RIA Novosti acting head of the Department of interaction with mass media of investigatory Committee of Russia Svetlana Petrenko. 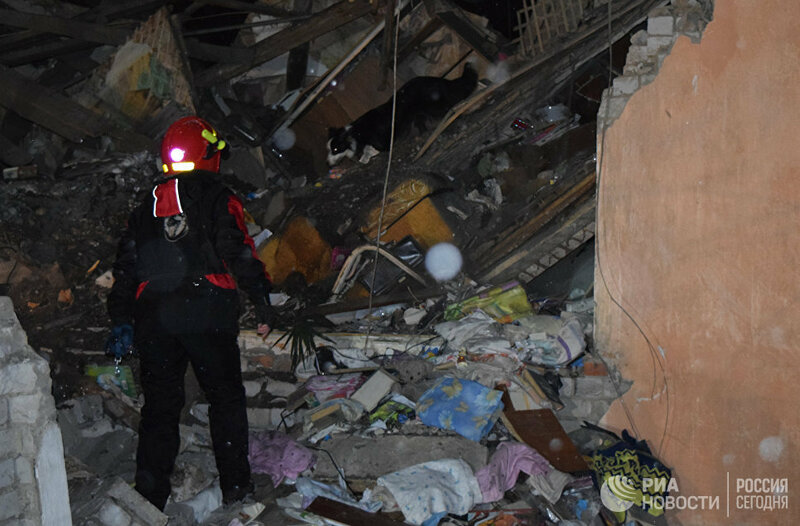 It has been established that the epicenter of the gas explosion was the apartment on the first floor, which was discovered a gas boiler with injuries and traces of thermal influence on the floor. As the main version investigators are considering the leakage of household gas. 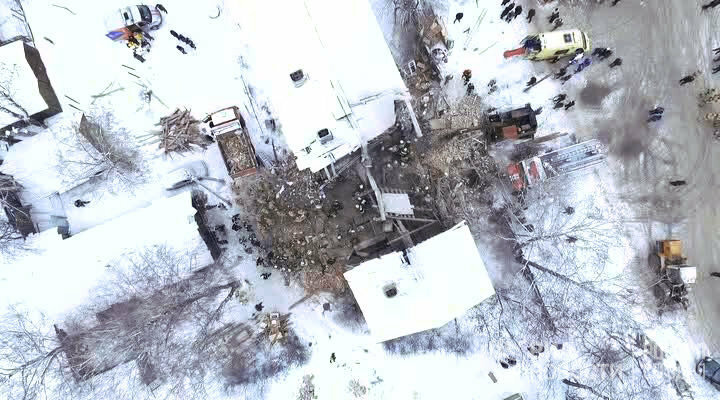 The representative of the press service of OAO “Gazprom gazoraspredelenie Ivanovo”, for his part, told RIA Novosti that the employees of the gas service in the fall came with the inspection of gas equipment in the victim of the explosion the house, but could not get in. However, he could not explain, was the equipment properly or not. “Maintenance of the house was carried out just not so long ago, the exact date can not say. The tenants were notified, there was a sign and so on, but access was not provided in all the apartments,” — said the Agency interlocutor, adding that the inspection was in the fall. “About how properly the equipment was or not, I cannot say. Might have been some regulations. But the point is that these documents are now withdrawn”, — said the representative of the gas company. State of emergency in Ivanovo — already the second in the region this autumn the event of a gas explosion in a residential building. The fourth of October a tragedy occurred in dvuhpodezdny house in the village Ilinskoe-Khovanskoye, killing three women. 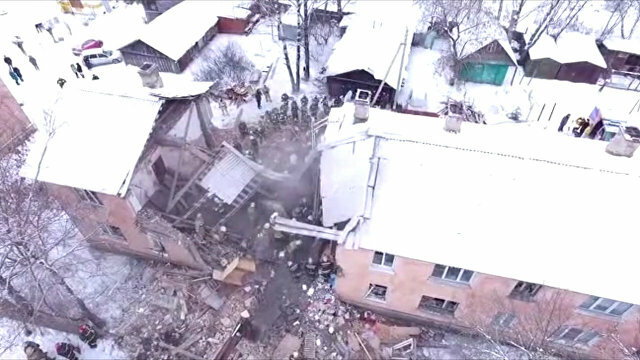 In addition, the explosion of household gas occurred on the night of October 23 in Ryazan on the upper floors of a ten homes, killed seven people, injured 16. In early September in the Old Oskol, Belgorod region, an explosion claimed the lives of four people, including two children. As previously reported, after the incident in Ivanovo, Russian Deputy emergencies Minister Vladimir Stepanov instructed to check the gas equipment in all house farms of the Russian Federation in November. According to the Chairman of the Duma Committee on housing policy and housing Galina Khovanskaya, the Federal budget should allocate additional funding to troubled regions of Russia, to prevent the recurrence of the tragedy in Ivanovo. “This region (Ivanovo oblast — ed.) subsidized, depressed. If there is a need, therefore, to the budget of the subject should help the Federal budget, because otherwise it will be repeated”, — said Khovanskaya RIA Novosti. In addition, according to the Deputy, the given region may be problems not only with the old gas supply, but also from wiring and water supply. Such houses do not even as an emergency, require the complete replacement of the internal infrastructure. The TV channel “Russia-24” Khovanskaya noted that the families who receive targeted assistance on current payments, you need to change an outdated or malfunctioning gas stove to the new budget. “It is necessary for the performance gas inspection about necessity of replacement of a gas stove to allocate replacement funds, and the target image. Then we won’t spend the money for the funeral, compensation, resettlement, etc.” — said the Deputy. In turn, the Federation Council intend to discuss the opportunity in legislation to require mandatory service of the intrahouse gas equipment. “Today it is possible to introduce a fee for service networks and the intrahouse gas equipment. Many cities have done so, company engaged in the service of gas networks, and passes the apartment and checks the serviceability of the equipment in residential buildings,” — said RIA Novosti on Sunday, the head of the Federation Council Committee for Federative structure, regional policy and local self-government Dmitry Azarov. Speaking about the need to legislate this provision, the Senator said that “such a possibility should first be discussed”. He also noted that the country was established the major repair Fund, which has done a great job on repair of buildings. He stressed that a long-term programme for capital repair of housing is built, it works across the country, and the worst thing is to start looking for a new solution, not waiting for full program. “Where the situation is critical, where housing is recognized emergency, in this case the budgets of all levels involved in the overhaul of the housing or the relocation of citizens”, — said Mr. Azarov.